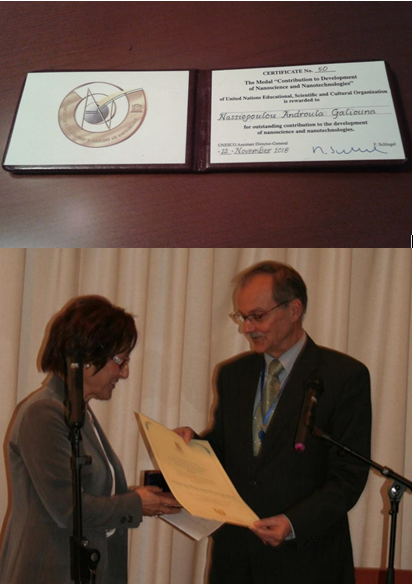 The Sinano President of the General Assembly Androula Nassiopoulou received the “UNESCO Medal for outstanding contribution to nanoscience and nanotechnology” for her contribution to Si nanostructures for Nanoelectronics and sensors, during an Award Ceremony at the UNESCO Headquarters in Paris on November 22, 2018. She was the only woman among the ten recipients of the 2018 award. 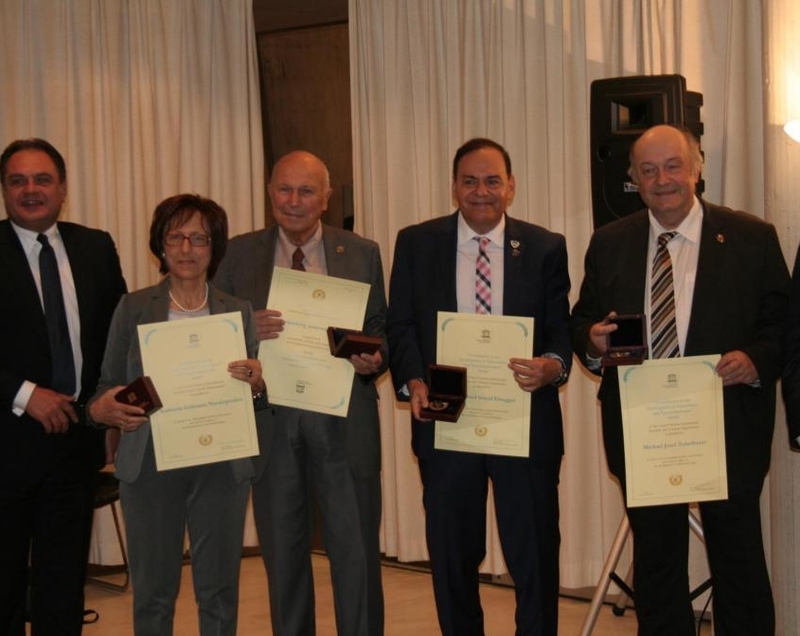 This award, established in 2010, is presented each year by the Director-General of UNESCO to prominent scientists, public figures and organizations that contributed to the development of nanoscience and nanotechnologies. The award was created at the initiative of the International Commission responsible for developing the nanoscience and nanotechnologies theme for the Encyclopedia of Life Support Systems (EOLSS). Androula Nassiopoulou is Director of Research and Head of the “Nanostructures for Nanoelectronics, Photonics and Sensors” research group at the National Centre for Scientific Research Demokritos, Athens, President of the General Assembly of the European Institute of Nanoelectronics “SINANO Institute”. She pioneered the fabrication of vertical silicon nanowires on the Si wafer and developed innovative applications of Si nanowires, nanocrystals and porous Si, which include low-loss transmission lines and antennas on the Si wafer working up to 210 GHz, thus enabling fast communication on the Si chip, high capacitance density microcapacitors for energy storage, high performance miniaturized Si thermal sensors and respiration system, gas flow meter for gas engine, high performance miniaturized thermoelectric generator etc. When receiving her medal, she stressed the importance of research aiming not only at economic development, but also at sustainable development for the profit of society. “Through miniaturization, Microelectronics made devices faster and cheaper and revolutionized computing and communication systems. This has been now expanded to the general field of Nanotechnology, fostering applications in all fields of life, including new medical applications, new drugs and drug delivery systems at the profit of the society”, she explained.